It's very easy to get a decent pair of headphones. For a few hundred bucks or less, you can score yourself a very classy pair. But sometimes, you just need to cut loose. Sometimes, you just need to break the bank, go deep, and invest in something that will last you that years, and deliver the best sound you've ever heard. That's what we're going to do, right here. Whether your budget is $5,000 or $500, we're going to present the absolute pick of the best high-end cans available. Note that we haven't included pricy electrostatic headphones, which are getting their own list, and we've also combined over-ear and in-ear models. For more background information on high-end headphones, see our comparison table and buying advice below the picks. What We Like: Rich, powerful audio quality, supremely comfortable. What We Don't: Looks may be an acquired taste. How does one describe the Meze Audio Empyrean? When putting this list together, we wrote and rewrote this paragraph multiple times, because the Empyrean defy description. They use isodynamic hybrid array drivers to create sound that manages to be exacting and detailed, and incredibly warm and engaging. The fact that the Empyrean headphones are around $1,000 less expensive than the previous crown-holder on this list, the Focal Utopia, is just astounding. The Utopia offers incredible, pinpoint sound, and remain one of the best headphones ever made, but the Empyreans won our ears, and our hearts. For now, these are the best pair of headphones on the planet, for any money. It's even more astounding when you consider that Meze, a Romanian company, had previously only produced affordable, entry-level headphones for roughly $300 - their 99 Classics are on this list, too. To go from that model to this one is an immense achievement. While the Empyreans have a slightly unusual aesthetic, which we think will be an acquired taste, their unbelievable audio quality, surprising affordability, and supreme comfort make them a winner. We defy anyone not to grin like a loon while listening to these. What We Like: Ultimate sound. What We Don’t: Ultimate price tag, “interesting” looks. The Focal Utopia only lose out to the Meze Audio Empyrean because the Empyrean headphones beat them on price, while offering sound quality that is almost as good. 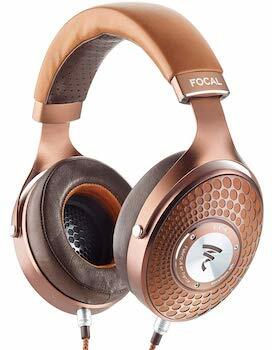 But make no mistake: if you can afford them, the Focal Utopia offer the best sound of any headphones ever. You can fight us in the comments if you disagree. In our full review, we said, "There's only one conclusion here, and that's that you should buy these immediately, if you can afford to. They are the single easiest Editor's Choice award we've ever given out." What We Like: Combines realism and energy at an affordable price. What We Don't: There'll be a long waiting period to get your headphones. This was a very tough category. 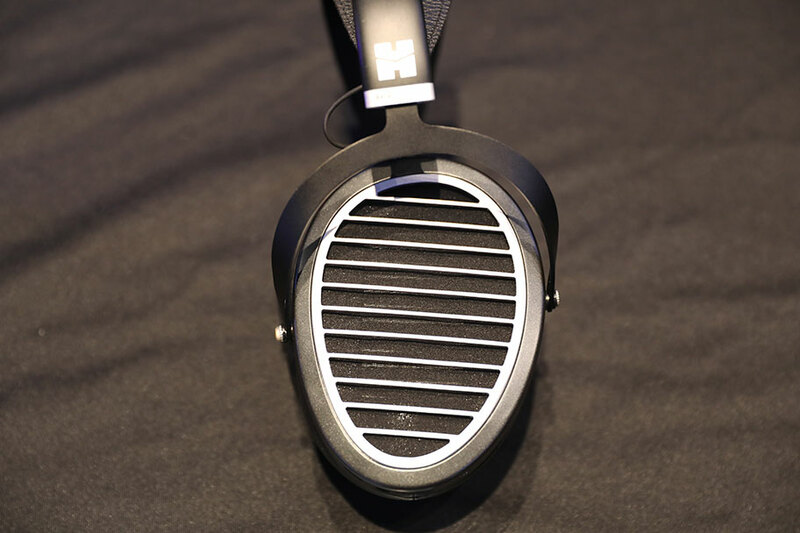 It could have gone to models from MrSpeakers, Meze, Focal, or any number of manufacturers. In the end, Chicago took it. ZMF's Zach Mehrbach makes outstanding headphones, and we think his best model is the new Aeolus. Unpronounceable the name may be, but the headphones are astounding. For $1,200, you get extraordinary open-back sound that combines realism and lively energy, with a huge soundstage. 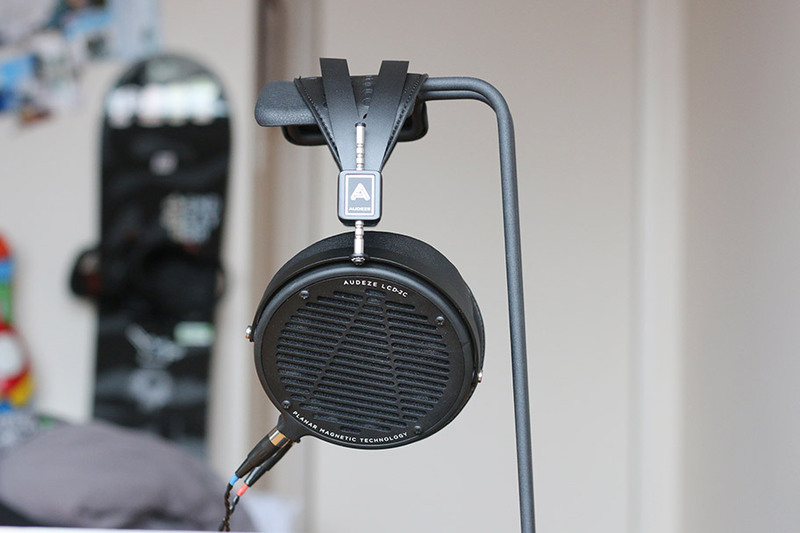 They beat other open-back cans, like the AUDEZE LCD2Cs, quite easily. The design of the Aeolus is deeply human, with fantastic wooden cups. Although the headphones need a reasonable amp to drive, at 300 ohms of impedance, you'll get some truly magnificent results if you do. The downside? Each pair of headphones from ZMF are handmade, which means there's often a long wait after ordering. In our opinion, it's absolutely worth the effort. But keep in mind that you're not getting these off Amazon Prime. By the way, ZMF offer several other models, including the more precise Eikon, and the top-of-the-line Vérité. What We Like: Lightweight and easy-to-drive. What We Don't: Won't impress those looking for reference-grade sound. We adore the Campfire Audio Cascade headphones. The company may be better known for offering in-ear headphones, but their first over-ear model is just outstanding. It offers extraordinary value and hugely engaging sound. On balance, we prefer models from ZMF - both open- and closed-back – but the Cascade still has a place in our hearts. What We Like: Stupendous, rich sound. What We Don't: Lack of specs is still a problem. 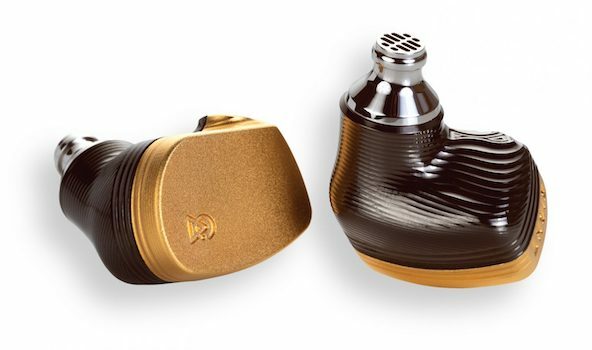 Noble Audio's Khan, a reworking of their fabled Katana in-ears, are a winner. When we first heard these, they knocked just about every other pair of in-ears out of the park. They deliver an excellent balance of deep, thunderous bass and crisp highs, with the level of definition and clarity that is truly astounding. For the time being, these are the best in-ears available, easily beating out models from Campfire Audio and other manufacturers. 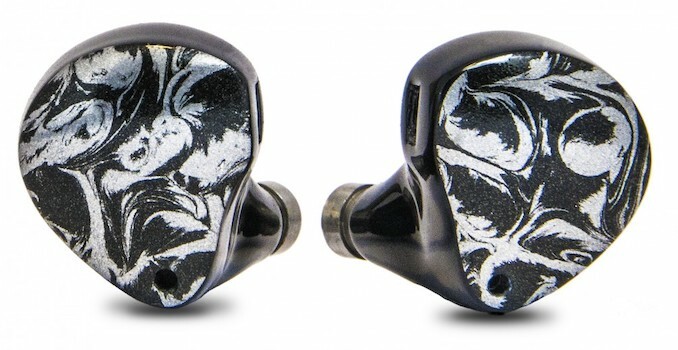 Unlike many in-ears, they have multiple drivers combining dynamic, balanced armature, and piezo-electric types. You will, of course, have to be okay with the stupendous price to go with your stupendous sound quality. And while we love Noble Audio, we are less enthused by their continued inability to provide specs like impedance and sensitivity on their website. All same, the Khan in-ears are and easy pick in this particular category, and we defy you not to be awed by their sound. What We Like: Probably the most gorgeous mid-range cans ever made. What We Don’t: Won't satisfy highly-demanding audiophiles. Other headphones may offer technically-more-accomplished sound, but none of them are quite as beautiful as the 99 Classics. Romanian maestro, Antonio Meze, has built a truly spectacular pair here, which are among the most beautiful audio objects we've ever seen. We regularly use our pair for pleasure listening - and when we, who live and breathe headphones and amps, use a piece of gear in our downtime, you know they're going to be good. What We Like: Delivers LCD2 sound at an unbelievable price point. What We Don't: Availability issues, height adjustment brackets and comfort aren't as good as they should be. We awarded the AUDEZE LCD2Cs an Editor's Choice award when we reviewed them: they take the original LCD-2's rich bass and unbelievable depth, and wrap it in a wallet-friendly package. Sure, you lose the wood cups and the hard travel case, but who cares? These are absolutely out of this world. What We Like: Improves on the sound of the models that came before it. What We Don't: Ungainly looks. There's no way we were going to make this list without including a pair of in-ears from Campfire. The company is beloved for a reason, and with the brightly-colored Solaris, they've perfected what made them so popular. The Solaris are a multi-driver in-ear that the team tuned from the ground up, combining balanced armature and dynamic drivers to present a sound that is both revealing and fun. They are super-sensitive - 10 ohms impedance, 115dB sensitivity – so you'll need a very quiet amp to drive them. But this isn't a downside, by any means. And while they don't have the sub-bass slam of their predecessors, the Andromeda, they rank among the best sounding models to ever come out of Campfire's Portland offices. The Noble Audio Khan are still better, but they're also much more expensive. For under $2,000, these are in the in-ears you need to hear. That being said, one thing we don't like about the Solaris are their looks. Sure, the gold outer housing looks superb, but the inner, ribbed, black section just looks strange to us – especially after the all-in-one green Andromeda housing. It's a minor point, however, and these remain one of the top ten high-end models available. Note that while they are available on Amazon, the current listing has them at over $2,000. We can't, in good conscience, recommend you buy from there at this time. Go direct, or check your local hi-fi store. What We Like: Superb precision and depth. What We Don't: Comfort isn't where it should be. From the beginning, we wanted to test some HiFiMAN headphones for this list. The company makes many excellent models, but in the end, we thought the most appealing one was the Ananda. It's not quite as good as the brilliant AUDEZE LCD2C, but boy, does it impress. For $999, you get a pair of headphones that offer stunning, high-end detail, plus a bottomless mid-range that feels like it's pushing your music to the limit. The design is also terrific, with metal accents that recall the $6,000 Susvara model. But despite the appealing design, we had slight comfort issues, and struggled to wear these over long periods of time. The HiFiMAN Anandas replaced the old HE1000 V2s on this list, and to be frank, we've had fun with just about every model the company has made. Our particular favorites included the Edition X V2 and the Sundara, both of which are excellent. But looking at it critically, we think other manufacturers beat them. And while HiFiMAN deserve a spot on this list, we don't think we'd go for the Ananda over a model like the LCD2Cs. 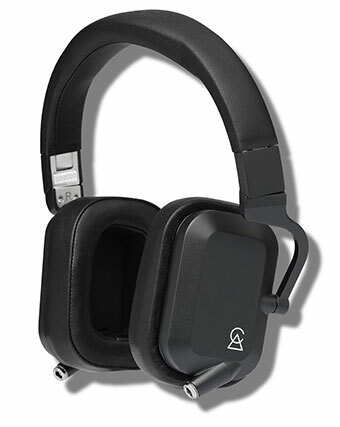 However, these remain a fantastic pair of open-back headphones and a viable alternative to other models on this list. Additionally, if you happen to be a fan of wireless headphones, the Ananda now come in a Bluetooth version, for $1,199. We've tried them, and they are fantastic. What We Like: Legendary sound in an easy-to-drive package. 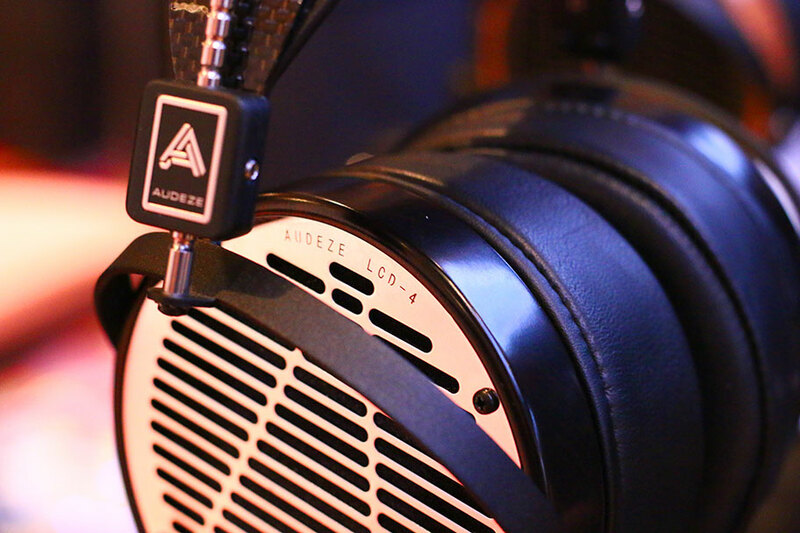 The AUDEZE LCD4-Z are both amazing in design and amazingly peculiar. 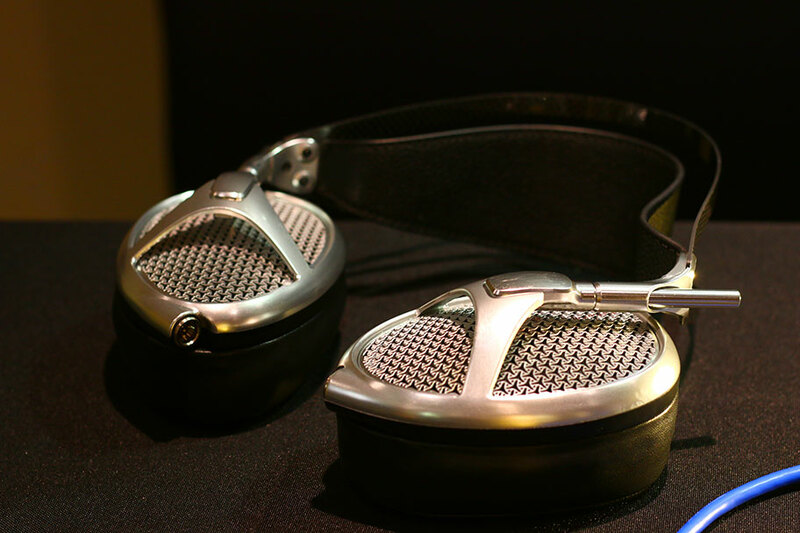 The original LCD4s were a legendary pair of headphones – the big planar dynamics, with a huge pricetag, even larger frame, and truly unbelievable sound. They were hard to power and uncomfortable to wear for long periods. The solution? AUDEZE developed a version of the headphones that kept the original LCD4 sound, but cut the impedance down to 15 ohms, allowing you to power these monstrous high-end cans with a smartphone. Introducing, the LCD4-Z! The problem is, as good as the LCD4-Z headphones are, we can't quite work out who they're intended for. Yes, they're 25% lighter, which helps with comfort, but that still makes them pretty heavy. And, if you're the kind of person to drop nearly four grand on a pair of headphones, you aren't going to be powering them from a smartphone. So who are the LCD4-Z aimed at? We aren't entirely sure. All the same, they're worth buying thanks to their awe-inspiring sound, which will be at home in any setup. We can't really recommend you buy them over the less-expensive Meze Empyrean, or the Focal Utopia, but they deserve to be here. What We Like: Genuinely improves on its predecessor. What We Don't: Sensitivity is a little low, headband feels strange. 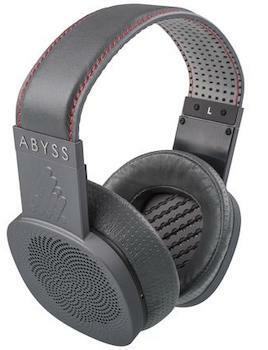 Abyss are a boutique headphone-maker that specialise in ultra high-end products. This is their flagship model, and shares at least one thing in common with companies like Grado - it makes you look like a 1960s spaceman. The square design and all-black housing take some getting used to, but from the moment you place these on your head, you'll be in absolute audio nirvana. 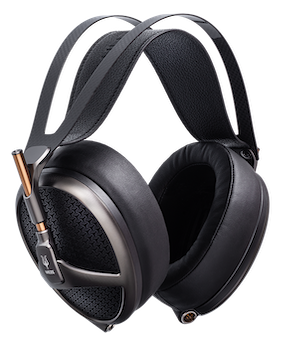 The Diana Phi are the upgrade on the original Diana, and incorporate the planar speakers from the company's flagship AB-1266 Phi CC headphones. They don't have the clarity of the Utopia, or the deep bass of the LCD4-Z, but they're still stellar. The Diana Phi are thinner and lighter than their predecessor, making them an easy entry on this list. Unfortunately, there are two major downsides to this model. The sensitivity is relatively low - you'll have to pick your amp carefully - and we aren't wild about the unconventional, bendy leather headband. And fair warning: while these absolutely deserve a place on this list, they can be hard to find on sellers like Amazon for a reasonable price. It may be worth buying direct if you decide to take the plunge. If you do, we can absolutely guarantee that you're in for one hell of a ride. What We Like: Stupendous sound, luxurious build. What We Don't: Color choice may turn some people off. The Stellia is Focal's closed-back flagship: an absolute beast of a headphone that is kept off the top spot only because there are so many other extraordinary contenders. Focal have hit the headphones market like a meteor over the past few years, and they have yet to put out a model we haven't loved. Their open-back Clear previously occupied this spot, but we think it's time to replace it with the Stellia. They are much better headphones, with superlative, rich sound quality and outstanding build. Think buttery leather, and lots of it. We first encountered them at CanJam NYC, and subsequently scored a pair to test in-office. They're gorgeous. What We Like: Stellar looks, solid sound. What We Don’t: Can't really hang with the models above them. In all honesty, these headphones surprised us. Klipsch is a company that is far better known for speakers and subwoofers, not headphones. But they do know their audio, and there's no denying that the Heritage HP-3 are absolutely bloody gorgeous - easily one of the most attractive headphones on this list. They match up well with the Campfire Audio Cascade, above, and they more than hold their own in terms of sound. The tight bass, intricate detail and warm mids will satisfy just about anyone who loves Klipsch's sound. These lack the sound spread of the ZMFs, above, and can occasionally be a touch harsh on the highs, but these are minor points. 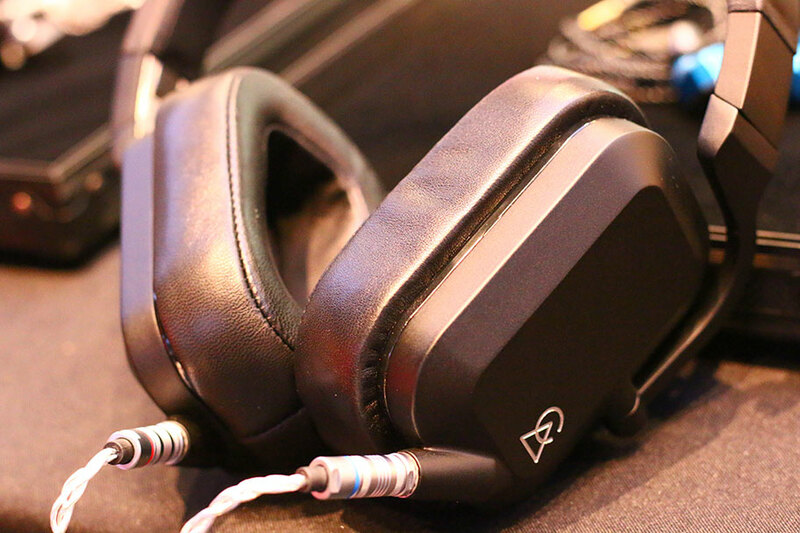 At less than a pound, the HP-3s are light and comfortable, with a build quality that's outstanding. In Klipsch fashion, you even get a choice of woods that allows you to pick between ebony, walnut, and oak. Additionally, you even get a headphone stand thrown in. The HP-3s are somewhat of a dark horse on this list, and definitely won't be unseating the Focal Utopia or the Meze Empyrean, but they absolutely deserve their place. What We Like: Grado’s legendary house sound. What We Don’t: Not enough of a jump from the PS1000E - and it’s far too expensive right now. Despite our love for Grado, we weren't huge fans of their previous model to the PS2000E. One of the biggest problems we had with the PS1000E, which was featured on this list previously, was their comfort. Grado cans have never been comfortable, but the PS1000Es were often genuinely difficult to wear. Fortunately, the company's newest model makes a real effort to fix this. The pads are soft and squashy, and the leather headband feels fantastic. In terms of sound, Grado say this is the best pair of headphones they've ever made… and they weren't kidding. The open-back design combined with the Brooklyn company's legendary signature sound is one hell of a match. Unfortunately, we aren't sure these improvements justify a $1,000 price boost. Yes, we like the comfort, and yes, they sound magnificent, but we would struggle to recommend these over something like the ZMF Aeolus. Unless you're a serious devotee of the Grado sound, there are better headphones you could get for this price. While they absolutely deserve to be on this list, and are a worthy replacement for the PS1000E, we expected a little bit more bang for our buck here. What We Like: Breathtaking sound. What We Don’t: Not the most exciting pair of cans - and quite tricky to drive. The Audio-Technica ATH-ADX5000 don't win any prizes for design here. We're pretty sure these are what appear in the dictionary next to the word headphones – or would, if the dictionary had pictures. They are a big, clunky, pair of cans that would do Princess Leia proud. Oddly enough, the most exciting thing about them, which is the almost obscenely open housing, is probably what will turn most non-audiophiles off. They look intimidating, like you need an electrical engineering degree just to look at them. But holy hell, do they sound good. We use the word breathtaking very deliberately, because that was the effect we got when we listened to these. They offer precision that's really only matched by things like the Focal Utopia, and although they aren't quite as much fun to listen to or use, there's no denying the audio quality is absolutely top-notch. So, why are they so low on the list? Well, it's not just the design; it's the price, which we think is too high right now, especially when you could get the equally excellent ZMF Aeolus for slightly cheaper. Although you will miss out on that reference grade sound. What We Like: Typically stellar MrSpeakers sound. What We Don't: Limited specs, curious design. The Ether 2, designed by MrSpeakers' Dan Clark, absolutely crush it. They're light, incredibly easy to drive (16 ohms impedance), and deliver fantastic sound quality. Clark never sits still for long, and among the many headphones he's put out, we think these are real keepers. We aren't wild about the design of the Ether 2, which is definitely an acquired taste. There's also a strange lack of specs available, like driver size and sensitivity. Clark's reasoning is that 'The industry has no standards for measuring or publishing results and many published specs wildly overstate the headphone's potential. We prefer not to play the "spec game" for this reason.' Which is fine, we suppose, but it doesn't offer a solution. And although we understand where Clark is coming from, we'd like to have known the specs anyway - perhaps with a breakdown of the measurements and benchmarks he uses. 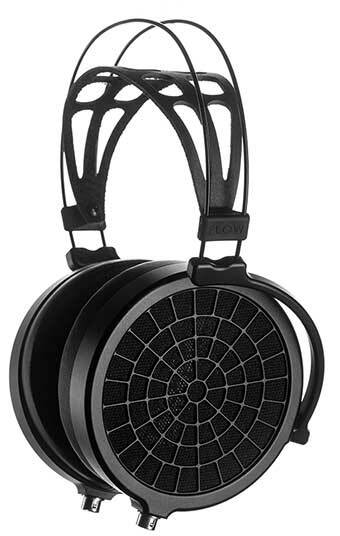 As good as these are, they don't unseat legendary models like the AUDEZE LCD2C. What We Like: Clear and neutral sound, superlative comfort levels. What We Don’t: A little dull, perhaps? If this list were about comfort alone, then the Amiron Home headphones would be at the very top. They offer absolutely extraordinary comfort, thanks to the microvelour pads and band. And although they're not particularly light in weight, they feel virtually weightless when they're on your head. We even go so far as to call these some of the most comfortable headphones ever made.If you value comfort above all else, these should be your first choice. Comparing these to the Sennheiser HD600s: the HD600s offer better sound, but can't touch the Amiron Home for comfort levels. What We Like: Sound that’s stood the test of time. What We Don’t: Bit of an old warhorse! And you need a decent amp to drive them. You may very reasonably ask why we're putting a pair of headphones that are almost twenty years old on this list. We wouldn't do so if we didn't have a damn good reason. And that reason is simple: the HD600s are as good today as they were when they were released. Other models have been replaced or superseded with new technology and better driver tuning, but these are like the Illmatic of headphones. They're lightning in a bottle, and haven't been bettered since. Even today, this model a firm favorite among audiophiles, and we'd be crazy not to include it here. While they're not going to beat the precision or depth of the models topping our list, the HD600s still go toe-to-toe with headphones that cost twice as much, like the Beyerdynamic Amiron Home, above. They are renowned for being able to respond well to a huge range of amplifiers – which you will definitely need, due to their high impedance – and for their ability to accurately translate sound. They're far from the most current model, and you should expect their construction to be a little barebones and unsophisticated, but match these with a Schiit stack (a Modi DAC and Magni amp) and you'll be witness to one of the great pairings in audio. 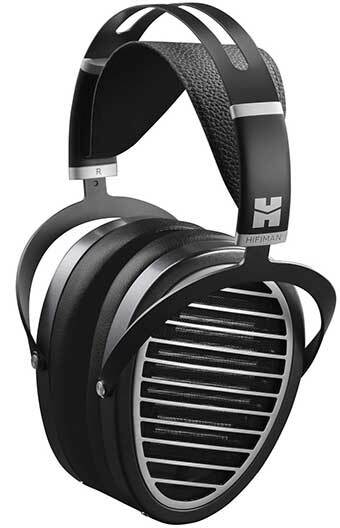 By the way, you may be asking why we chose these instead of the HD650s or the 800s, both of which are a little newer. The answer? The HD600s sound better. Sometimes, it's just that simple. Alex Rosson, one of the founders of AUDEZE, has a new company called Rosson Audio. This is important because he's about to release his first pair of headphones, the Zero Ones. They're a big pair of over-ears, and they sound absolutely spectacular. 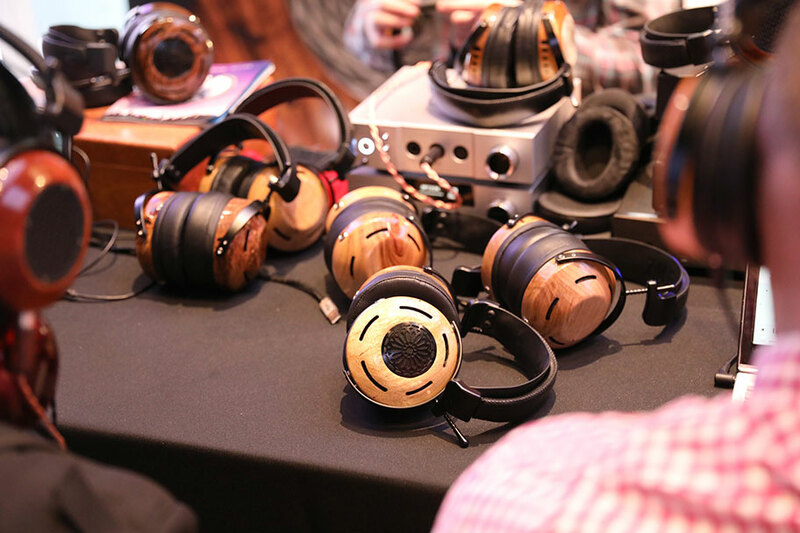 We heard a prototype at this year's CanJam NYC event and couldn't believe just how full and powerful they sounded. Not only that, but they look tremendous. Although there aren't any images currently on the website, you have to trust us that they look absolutely brilliant. When they release, they'll certainly be a lock for this list. Most of the headphones on our list are relatively new, but there are some older models that are still worth picking up – and you can usually find them at a bargain price. Take ZMF for example. Their Aeolus is currently in our top five, but older models, like their closed-back Atticus, are still very much worth investing in. The Atticus are known for bass, and if you want a great pair of full-size headphones, they're an excellent bet. Another solid pair of in-ears are the Campfire Audio Andromeda. These green monsters remain our favorite in-ears ever, and they recently graced this list. While we don't think we can justify putting them against the Cascade, Solaris, and Noble Audio Khan, they are headed for classic status. If you do see a pair, definitely pick them up – they are well worth it. Even if they're still a little overpriced, at $1,500. Do I Need A Separate Headphone Amp? Where Are The Frequency Ratings In Your Specs? Do High Prices Mean Better Quality? This was tougher than it sounded - especially with hundreds of models available. We didn't just look at sound quality - that was just one part of the package, even if it was a major part. We looked at the whole experience, from the moment we opened the box to hours of listening, and weighed that against the price of each pair. Where possible, we tried to keep our testing rig consistent: a Chord Electronics Hugo 2 DAC (full review here) and a Schiit Magni 3 amp (full review here) - both provide sound we are comfortable and familiar with. We listen via Tidal, streamed off a Macbook Pro...and before you ask, no, we didn't use custom cables. This means that we've managed to get a pretty good idea of our favorites. Agree? Disagree? Fight us in the comments! If you’re about to invest in a pair of high-end headphones, then it might be worth knowing the key pros and cons for each of the three main types. If you already know your headphones, you can probably skip this section. These classifications essentially describe the construction of the headphone. Over-ears fully enclose the ear; on-ears sit on top of it, leaving the side exposed; and in-ears are much smaller units that slot directly into the ear canal. They all have their own advantages and disadvantages. Over-ears typically provide larger drivers and better sound quality, but can be heavy and bulky, and aren’t really suitable if you’re claustrophobic. On-ears compromise a little on the sound quality (and you won’t find any on the list above, although you will in our list of the best wireless headphones) but tend to be lighter and more portable. Finally, in-ears are the lightest of all, but can be an acquired taste due to the fact that they are often uncomfortable to use for long periods. They don’t, however, compromise on sound quality. The more committed to audio quality you are, the more likely you are to go for a big pair of over-ears that you can listen to in one place (preferably with a good amp). Portability means you’d be going for a pair of in-ears or on-ears. Really, it’s down to what you find comfortable, so if you can, try and audition a few types before you buy. By the way, there’s a myth that over-ears are intrinsically superior to on-ear or earbuds. Wrong. Plenty of those models offer superb sound quality, and there are plenty of reasons to choose them. If you wear glasses, for example, you might find that over-ears are uncomfortable to wear for long periods of time. In this case, on-ears may be a better option. 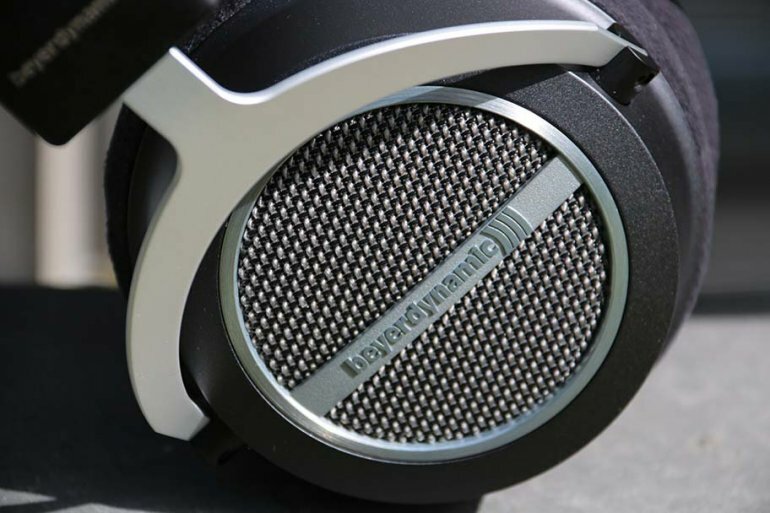 The idea of closed-back and open-back headphones can be confusing, until you know what to look for. It's something that can make a major difference in sound quality - so it's worth knowing about. The term refers to the outer part of each can. Closed-backs (sometimes referred to as sealed headphones) are completely closed-off, with the inner workings of the headphones hidden away. Open-backs, on the other hand, leave it exposed, usually protected behind a rigid mesh grille. 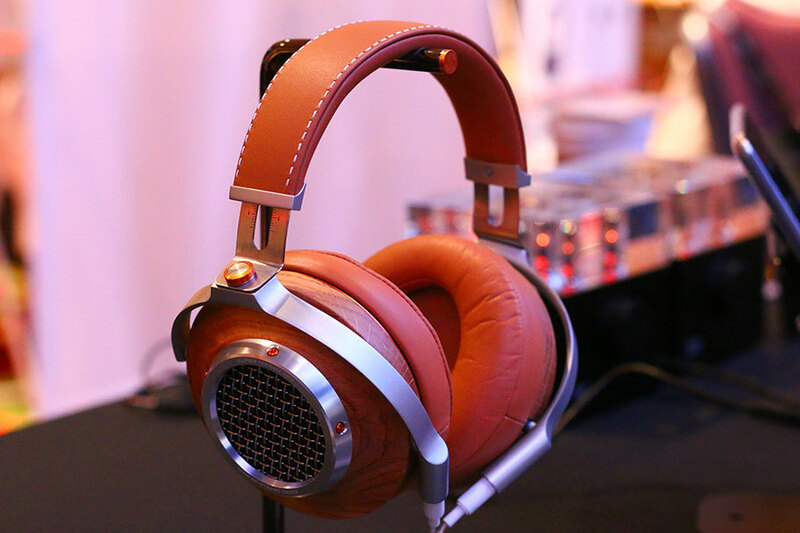 The best closed-back headphones on our list are unquestionably the ZMF Aeolus, which cost $1,200. As we said, this has to do with sound. Open-backs sound better, as they allow air to pass through, and interact with the audio produced by the drivers. This makes the headphones sound more open and natural. They also have the benefit of looking extremely cool. Closed-backs are the opposite, with the drivers and electronics hidden away, and they don't sound nearly as good. 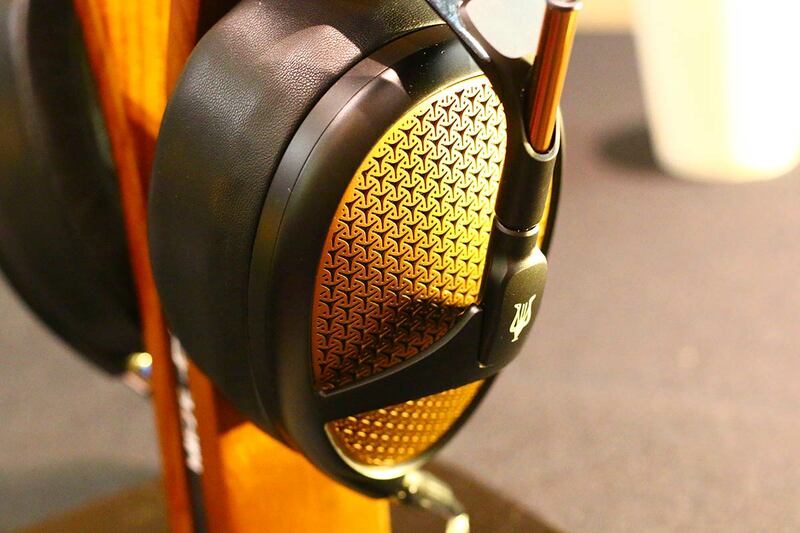 Case in point: the number one pick on this list, the Focal Utopia, is open-back. Why not go for open-backs as a matter of principle? Bleed. When applied to cans, this word refers to how much sound leaks out when music is playing, and open-backs leak a lot. Even at low volumes, anyone around you will be able to clearly hear what you're listening to, and they probably won't appreciate the enhanced audio quality. If you do the bulk of your music listening alone, then by all means, go for this. But if you plan on using your cans in company, then go for a pair of closed-back ones. We put a lot of emphasis on impedance here at TMS – and with good reason. In terms of headphones, it's probably the single most important spec there is. It can tell you how much power you need to drive a headphone, and how accurate that headphone's sound is likely to be. Impedance refers to the electrical resistance of the headphones. It's not just about how much voltage and current they can take, but how much they need to operate properly. We could get deeply technical here, but the upshot is this: the higher the impedance, the more power you will need to drive the cans. Any pair with an impedance of less than 32 ohms (Ω) can be taken to an acceptable level without an amp. 32-100 ohms is a little bit of a grey area – you'll probably be able to run cans in this range off mobile devices, but the result won't be quite as good. Over 100 ohms? Yeah, you're going to need a separate amp. These are just not going to work off your smartphone. Low impedance isn't bad, by the way - far from it. 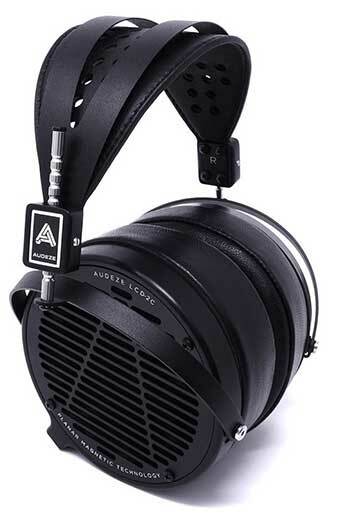 The AUDEZE LCD4-Z, an impeccable pair, have a very low impedance of around 15 ohms, meaning they can be driven off a phone, or even a small audio player. You might also ask why you would go for a high impedance anyway? If everything else is equal, why settle yourself with extra power requirements? Because higher impedance means the headphones are more able to accurately reproduce the sound without artefacts. Usually, a pair of headphones with a high impedance figure means that you're in for a fun time. If impedance is the most important thing to know about a pair of headphones, then sensitivity comes as a close second. It's not absolutely essential to know it, but it can give you an idea of just how loud the headphones are likely to be. It's a measure of how efficiently the drivers in the cans make sound – or, more prosaically, how loud they will get from a constant source of one milliwatt. The higher the sensitivity (which is measured in decibels, or dB), the more likely the cans will be to respond to a larger variety of players or amps. Ones with lower sensitivity need slightly more power, but you can drive them at higher volumes for longer, whereas those with high sensitivity prefer more moderate volumes. Example: most of the headphones on this list have a sensitivity above 95dB. But the Abyss Diana Phi hovers at around 91dB – and its predecessor, the AB-1266 Phi, was even lower, at around 86dB. That means that at the same amount of power, the Diana won't be quite as loud as other models. Again, this isn't necessarily a huge problem, especially with headphones, but it's worth bearing in mind. By the way, we've only touched on topics like impedance and sensitivity here. We go into a lot more depth, with many more practical examples (and a nifty explainer video!) In our full explainer of headphone specs. When you're looking at the models in the list above, you're going to see a few terms continually popping up. Among the most common are things like dynamic driver, magnetic planar, and electrostatic. While understanding these is a little less important than understanding things like impedance and sensitivity, they're still worth breaking down. They refer to the method a pair of headphones uses for getting sound to your ears, and we're going to lay out the three main ones as simply as possible. Dynamic drivers are by far the most common – the kind of thing you'd find in most cans you can buy at the store. In these, sound is transmitted by a moving coil of very thin wire which reacts with a magnet, moving the speaker diaphragm and producing sound. It's a relatively inexpensive method, and in terms of sound quality, it's by far the least desirable. This does not – repeat, not – mean it is bad. 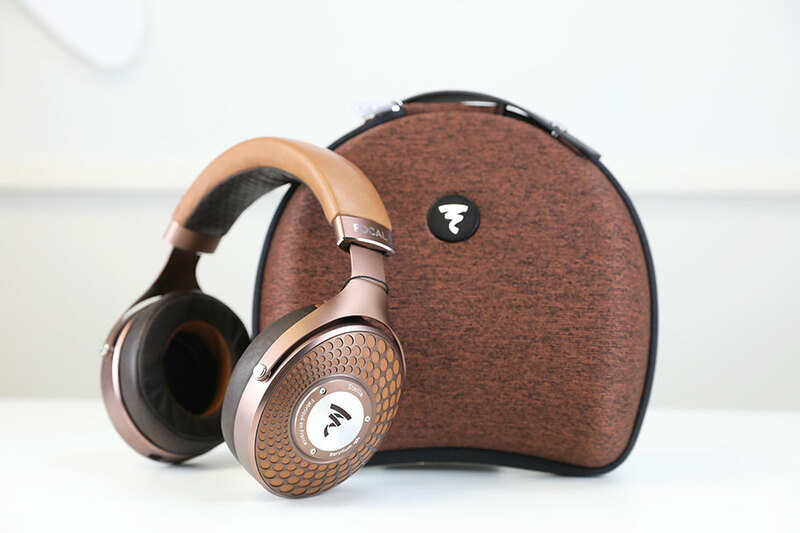 The Focal Utopia, at number one with a bullet on our list, are dynamic driver headphones, and they wipe the floor with just about everything else. But when compared with the other two types below, it's probably the most common type of driver. Planar magnetic headphones are renowned for the delicacy of their sound. The HiFiMAN and AUDEZE models above, among others, use it. Instead of using a coil of wire, these models spread the magnetic force across the diaphragm. This requires stronger magnets, but produces infinitely better sound. You're also probably going to need a more powerful amplifier to get these working as they should be. They are usually, but not always, more expensive than standard dynamic driver headphones. 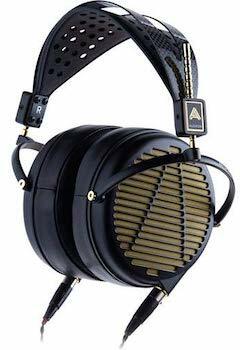 Case in point: the amazing AUDEZE LCD2C aren't quite as expensive as the dynamic-driver Utopias, but cost very little in comparison. Electrostatic models are in a whole class of their own – and we elected to steer clear of them here, as they're overkill for just about everybody. They use an electrically-charged diaphragm, made of mylar, sitting between two conductive plates – one charged negatively, the other positively. The movement of the diaphragm produces the sound. Electrostatic cans are unwieldy, expensive, and hard to use, requiring specialised amps – even if they sound utterly glorious. We might not have featured them here but, if you're interested, manufacturers like Stax are still dominating the field. You do also get balanced armatures. These are unique to in-ears, and often contain multiple drivers, consisting of coils, suspended between magnets and wrapped around metal armatures. An armature, by the way, is a metal core that connects the magnets. Drivers are the part of the cans that produce sound. Generally, you have two of them, one left and one right, although some headphones do have more - the 1More Triple Driver Over-Ear headphones come to mind. Think of the drivers as tiny little motors that convert the audio signal into something you can actually hear, using a combination of diaphragms, magnets and coils to vibrate, and produce sound. Drivers are measured in millimeters (we're not entirely sure why, when so many other sound equipment measurements are in inches). The actual figure we give is a little misleading - it's arrived at by using a very complicated mathematical formula that takes into account the overall surface area of the driver, and at this point, we're just going to tell you that a 50mm driver is bigger than a 40mm driver. By the way, don't be too freaked out if a manufacturer doesn't give the size of the driver – it's far less important than the impedance and sensitivity. The Noble Audio Khan, for example, has no driver size listed – and we don't care that much, because it sounds awesome. As a general rule, the larger the driver, the more powerful the sound. That being said: it doesn't necessarily mean better sound. Not always. It's far more important to note what the driver is made out of, which will have are far more dramatic effect than a few extra millimeters. These materials may include things like aluminum or beryllium, each of which have their own distinct sonic characteristics. Don't, in other words, be fooled with the manufacturer trumpets a huge driver size. In practical terms, it may mean very little. Not always - but it sure helps. An amplifier - and you can get dedicated amplifiers that will do exactly the job you need, including portable ones - offloads the task of increasing the power of the audio to a separate box. Whether you go for a desktop one or a portable one, they can vastly change your audio experience. Any headphones with an impedance of over 100Ω are almost certainly going to need a separate amp. And even if the impedance is much less, virtually any pair of headphones will sound stratospherically better when you plug them into one. But how do you match them? What amp do you go for? Simply make sure that the output impedance of the amp is 1/8th or less of the headphone impedance. Follow that, and you'll get absolutely perfect audio quality for that particular pair of counts. For example, let's say you splash out and buy the Abyss Diana Phi, because you won the lottery or something. Those have an impedance of 40Ω. That means your amp needs an output impedance of no more than 5Ω, which is very achievable for most models. When you're picking an amp, we recommend spending at least around the same as what your cans cost. Also: check if the manufacturer of the headphones makes an amp, which will almost always be matched perfectly with their companion cans. Ultimately, they're built for each other - and it'll be reflected in the sound quality. If you want a full guide to getting the best out of your headphones, you're in luck. We've got one right here on this site. If a pair of headphones has a frequency response of 20Hz to 20kHz, it can comfortably produce any sound between those two values. The problem is, plenty of headphones advertise the fact that their frequency ranges are as wide as possible. Let's take an example: the excellent HiFiMAN Ananda , which measure 8Hz to 55kHz. This opinion is probably going to be quite unpopular among headphone designers, but we don't care: knowing that the Ananda goes all the way up to 55kHz is absolutely useless, and if you were to base your buying decision on that, you'd be a moron. Any of the frequencies it produces above 20Hz will be inaudible to humans. Really, it's a marketing gimmick; the manufacturers build models that certainly can go up this high, but you'll never get a chance to test them out by virtue of the fact that you'll never actually be able to hear it, even if you're a teenager. That's why we'd argue that frequency ranges are completely useless when you're deciding what to buy. There are people on this planet who can tell the difference between 5Hz and 6Hz, but we're pretty sure one is dead, and the other two are in insane asylums. It's not about how wide your cans can go: it's about what they do with the spectrum in between. By the way, this isn't just a problem with headphones; it's a problem with almost all audio equipment, including headphone amps. Headphones have one simple goal – and it's the same whether they are a pair of $4,000 monsters or a tinny set of iPhone earbuds. It's to block out the world around you, and pipe music into your ears. The more they do this, the better your experience will be. This aspect is known as isolation, and it's a measure of how effective a pair of headphones will be creating a seal around or in your ears. The tighter the seal, the less likely you are to be bothered by outside noise. And note that we use the word measure with caution. To our knowledge, there is no actual industry standard measurement for how much sound a pair of headphones blocks out, which is probably due to the large amount of human head and ear sizes in our species. It is, after all, quite difficult to get a standard human head! However, we can offer some general principles to help you judge how well a pair of headphones isolate your ears. Generally speaking, in-ear headphones (like the Campfire Audio Solaris) have the best isolation properties, as they quite literally block the entire ear canal. Over-ear headphones are good, too, because they seal the entire ear off from the outside world - although if the headphones are open-back, you they may allow sounds from outside to penetrate. On-ear headphones are generally considered to have the worst isolation, because of the way they sit on the ear, which allows sound in. The softer the material of a pair of ear cups, the more likely it is to create a decent seal against your skull. Large cups will usually create a better seal the small ones. But again: everyone has a differently-shaped skull, and different-sized ears. And remember: isolation works both ways. Headphones that isolate effectively will mean that your co-workers won't know you are listening to Justin Bieber. You've been warned. Not as simple a question to answer as you might think. On the surface of it, you appear to always get more for a high price tag. Better quality sound, better construction, luxurious accessories…start moving into the four-figure range, and this is what you can expect to see. As a general rule, it is true that higher prices will give you better experiences. But – and it's a big but – this isn't always the case, and the trick is to be able to spot value-for-money, and when a pair of headphones is punching out of its weight class. Second example: the Grado PS2000E. 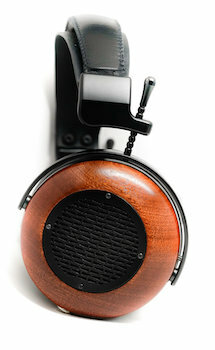 They costs almost $2,000 more than the LCD2C, but the latter are the ones we'd go for. Why? Because as we said in the list above, we don't feel that the PS2000Es do enough to justify their high price tag. They are great cans, they belong in this list…but they just don't do enough to push them into the upper reaches, or to beat out the ones above them. This is a case where spending more money won't guarantee you a better experience. As always, we recommend choosing a pair of headphones that is right for you, rather than simply going for the most expensive pair you can afford. Check our in-depth reviews to find detailed thoughts on the models here, as well as plenty of others, including wireless headphones.